This one pretty much wrote itself. 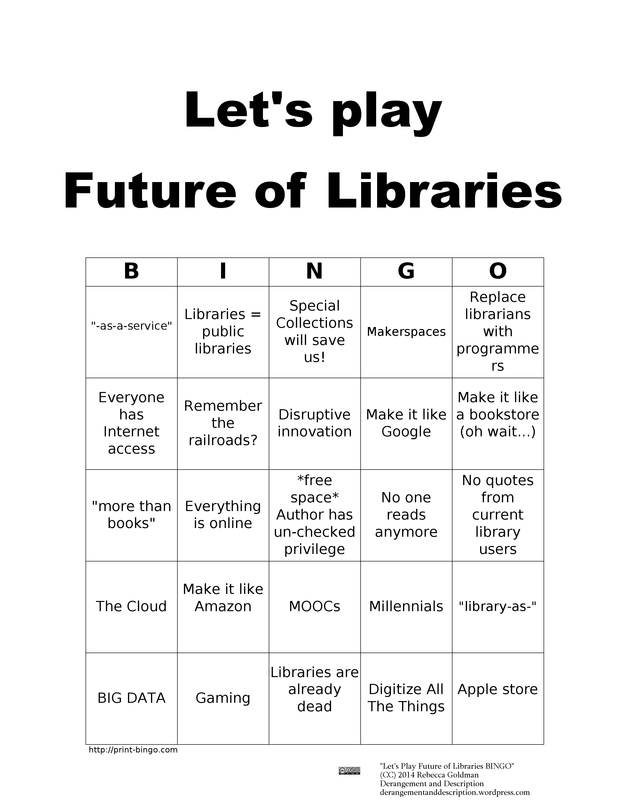 Some common “Future of Libraries” pronouncements, represented as a bingo card. Many thanks to Meg Ecclestone for the idea and encouragement. 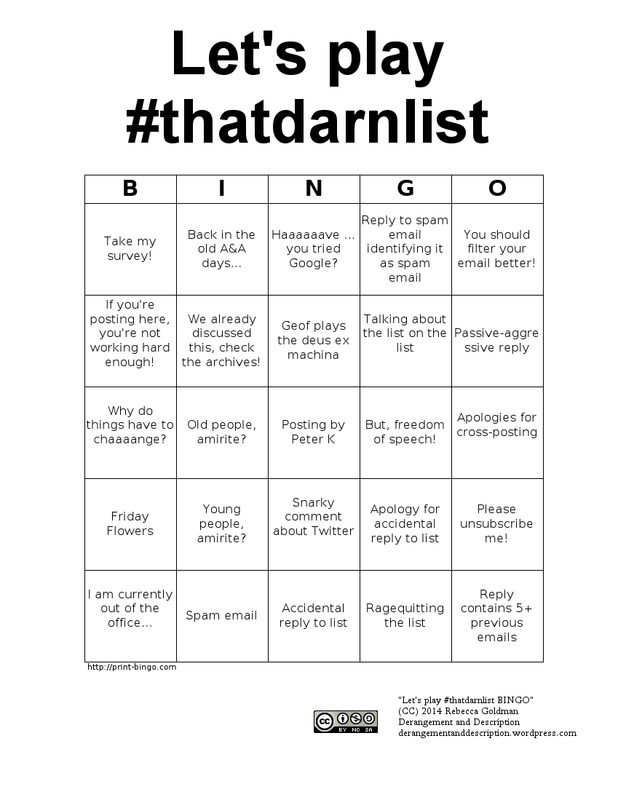 Use this bingo card generator and my text list (after the jump) to make your own cards!